Midfielder says Spurs will try to outplay Man City – can they do it? Harry Winks has suggested Tottenham will try to “out-possess and outplay” Manchester City at the Etihad on Saturday. The 21-year-old was speaking to reporters ahead of Spurs’ visit to the league leaders. “Obviously it’s down to the manager the way we play, but we’ll go into the game the way we go into every game: positive and on the front foot. We’ll try to out-possess them and outplay them. “We know what we’re like as a team, we know how good we can be, how good we are. It’s a good place to set a standard and make a marker and a point. “There’s no point in going into a game and not thinking you’re going to win. We’re a positive team, we like to think we’re one of the top teams in the division. Do you think Spurs can outplay City on their own turf? Or are Pep Guardiola’s side simply too good? Let us know in the comments. The way we have played at the Etihad over the last two years gives me the confidence that we could win. I expect it to be tight but a 1-2 win to the Spurs. To be honest, I would say that we have no chance against a City team that is on fire and seems unstoppable. Our defence won’t be able to hold on to their attacks for the entire game. We are without our injured Alderweireld, arguably the best CB in the EPL and also the suspended Davidson Sanchez, so our defence will be vulnerable to their attacks and this is the main problem why we are conceding goals, especially with Dier whom I am not impress for playing in that right CB position. Can Poch do something about the defence? Can he please tighten up the defence, if not, I can only see us losing this game. We have to defend well as a team and all our players have to do their part by helping out in the defence and supporting our 2 CBs whenever they are under pressure. My prediction is still a home win for City and the scoreline is 3-1 or 2-1 to them. 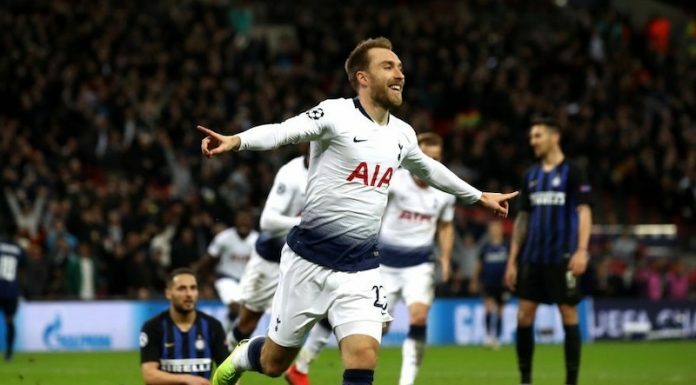 I hope I am wrong and I hope players liked Eriksen and Alli who aren’t playing well at the moment, will step up and raise their game to help us getting a position result. COYS, to DARE is to DO and if you are listening and dare to prove me wrong by showing us your ‘FIGHTING SPIRIT’ and ‘NEVER GIVE UP’ attitude towards this City game.